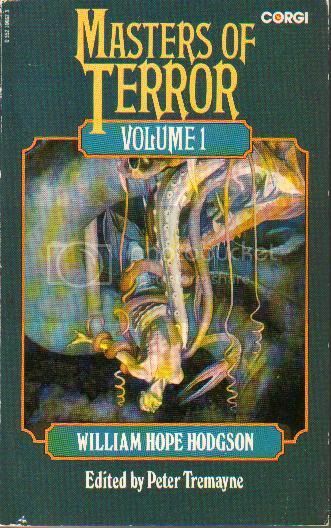 William Hope Hodgson - Carnacki The Ghost-Finder | Vault Of Evil: Brit Horror Pulp Plus! 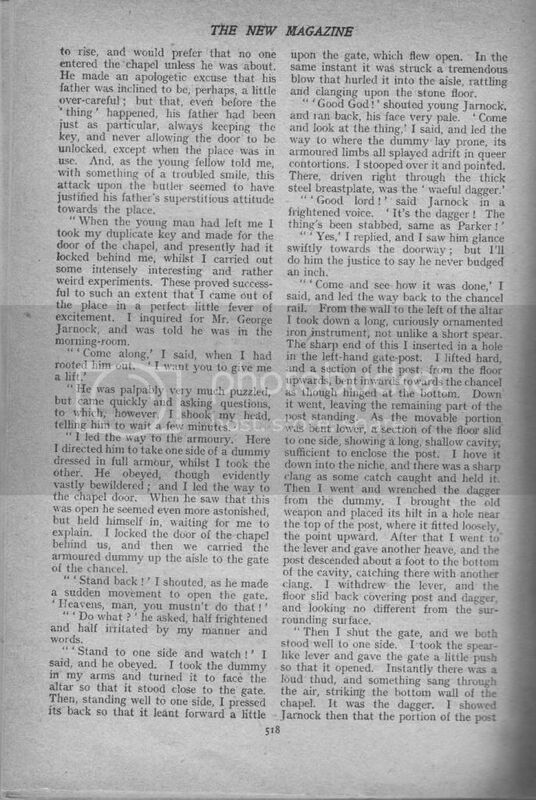 I found the Carnacki stories a bit of a drag when I first tried them many years back. I ahd made the mistake of taking only the Carnacki collection away with me on a trip, and it was a bit much reading them one after another. However, they have grown on me over the years. yes they are based around set pieces in haunted houses, but i don't think anyone before or since has approached Hodgson's ability with such set pieces. There are still things that fall flat for in the series: the occult explanations and paraphernalia, Mr C's all encompasing knowlege of the supernatural and how to deal with it. But these are frequently faults of the Occult detective format and for the most parts the power of Hodgson's vision wins out over the distractions. I still don't like the Hog, but (he said lapsing into Glaswegian). Overlong and over marinated in occult pseudo-science. Many others see it as the jewel of this collection, though. I still think the novels are generally Hodgson's best work, but I do recommend the Carnacki stories (just not all read in a rush, true for most psychic 'tec collections methinks). glancing over what I've written, I think the positive note sounds a little more begrudging than I intended. This is a strong collection fetauring some very powerful tales. Agree with all of that, chris. i'm sure they work better in multiple author anthologies, but then i find that the case with most horror & supernatural fiction. it does seem especially true of these occult detective types (who, incidentally, i find sometimes get in the way of what would otherwise be a far more engaging story). 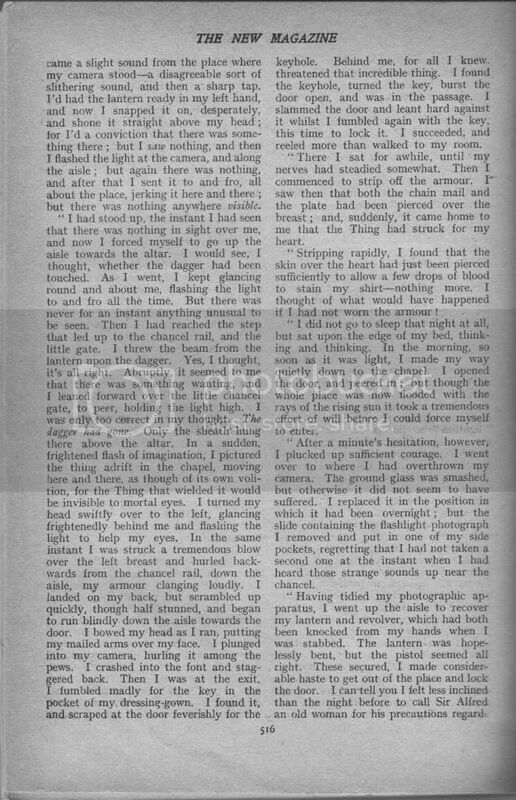 Possibly not the best example in every one's eyes, but i love Seabury Quinn's Jules De Grandin investigations, yet reading two on the spin can be a bit much. Carnacki, when i try him again, i'm going to dip in and out of. 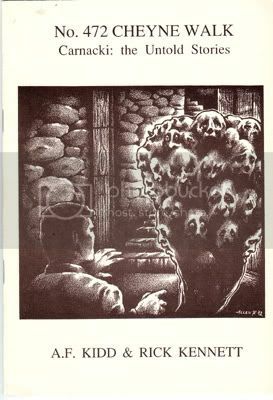 BTW, has anyone read the 'untold stories' of Carnacki, as written by A. F. Kidd and Rick Kennett? I like some of Hodgson---"The Voice in the Night" is great, for instance---but I always get the feeling that he is not completely in control, as if he does not really know what he is doing. And he wrote a couple too many indistinguishable stories about ships being attacked by giant octopi. Carnacki, as others have hinted, is very boring. 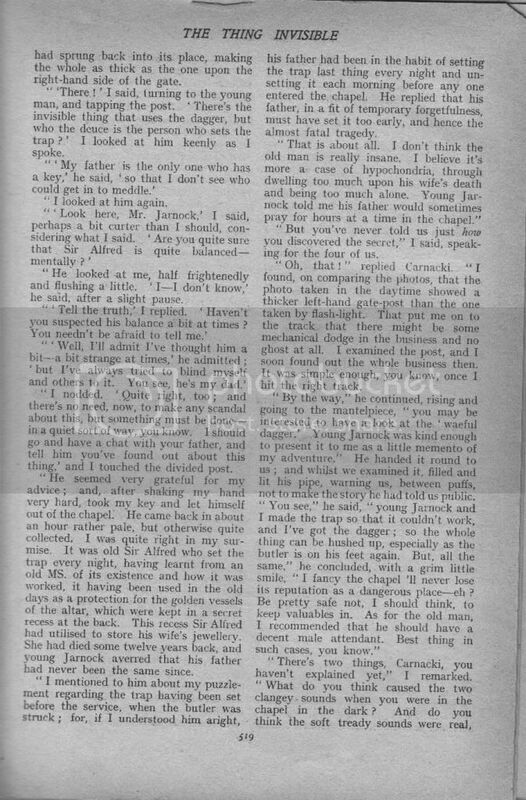 I have the Ash-Tree collection of Carnacki stories by Kidd & Kennett, which I believe incorportes the earlier booklet. I've only dipped into the collection. The stories are well done in Hodgson's style, but that is part of the problem for me. Hodgson's strong points are his powerful imagination and cosmic vision. His style is ..., well lets just say distinctive. I'm not sure I'm up for reading too many new Carnacki stories in the style of the original author. It makes much more sense to me to take Hodgson's themes and run with them as inspiration in the new author's own style e.g. 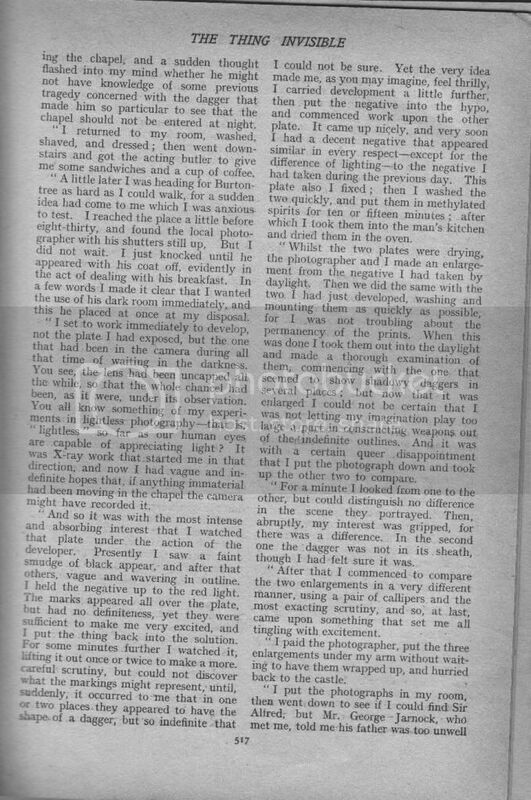 Rhys Hughes has a written stories with a distinct debt to Hodgson, notable in "Journeys Beyond Advice", but written very much in RH's own style. 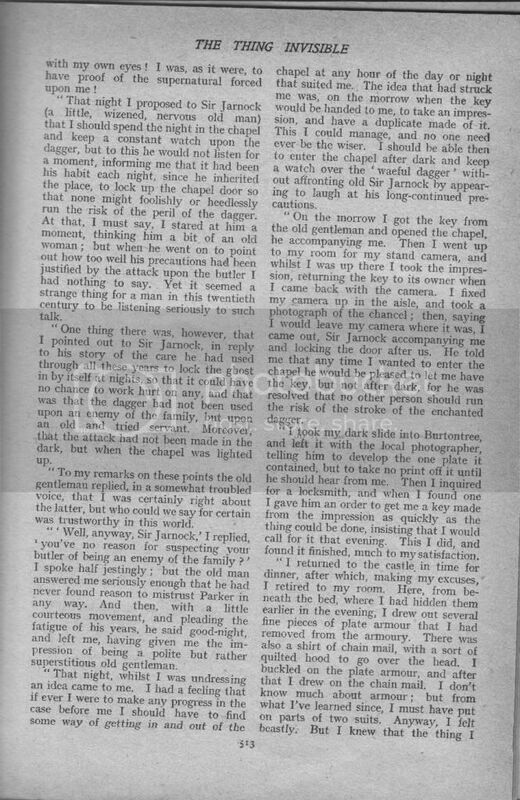 Kidd has written a number of ghost stories outside of the Carnacki theme which are generally very good,as well as a number of swashbuckling supernatural tales (which I've not read). 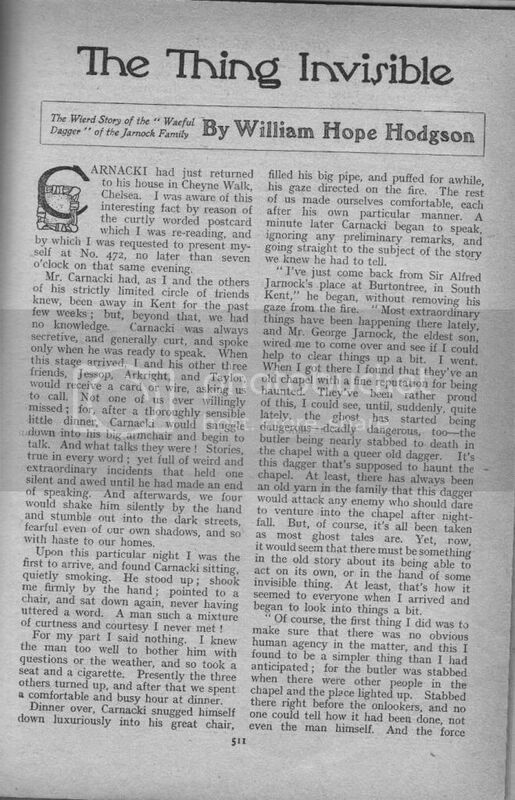 I've also read an enjoyed a couple of non-Carnacki short stories by Kennet in anthologies or magazines. In short, the Kidd and Tales capture the original series very well (too well?). If you like the form as well as the content of Hodgson's Cranacki tales, then you will almost certainly like these additional stories. I've got No. 472 Cheyne Walk as well, and I've read the whole thing, which is odd as the Wordsworth Carnacki really didn't do that much for me. I'd agree the Ash-Tree book is very similar in style so if the original WHH stories aren't your bag you'd be much better off reading something else. I have to say the Carnacki tales feel very ordinary to me and I probably prefer Seabury Quinn's Jules de Grandin . 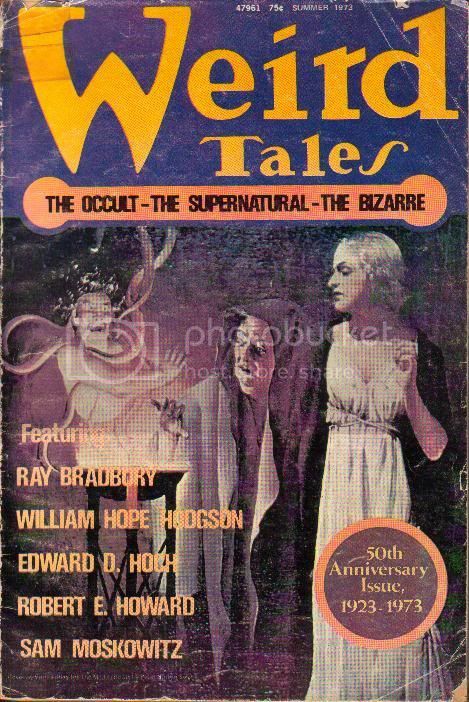 And yes I am slightly embarrassed that I would rather read a cheesy pulp Weird Tale where the heroine's dress gets torn off by a mummy / zombie / giant plant in each episode than classic supernatural detective stories but there we are. 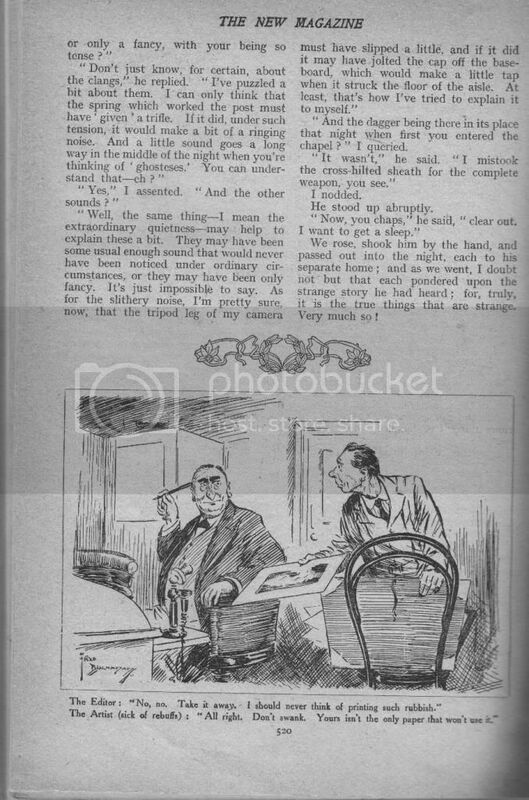 Possibly not the best example in every one's eyes, but i love Seabury Quinn's Jules De Grandin investigations, yet reading two on the spin can be a bit much. Carnacki, when i try him again, i'm going to dip in and out of. I think that's a pretty good example actually. I love the De Grandin stories but it's rare that I could read two in a row. Something about the pacing. It's good and it's descriptive, but can sometimes be like slogging through a swamp. Though Hodgson's pacing is usually more jaunty, sometimes he does get bogged down in too much description. I think The Hog is a good example of that, along with the astral vision part of The House on the Borderland. You're right, but I still get a kick out of, say, "The Whistling Room" and "The Hog". Probably only in isolation though. Far & away the best of Hodgson, imho, is The House on the Borderland, despite its faults, and derived therefrom, there's a brilliant (albeit truncated) Corben graphic novel adaptation from Vertigo. 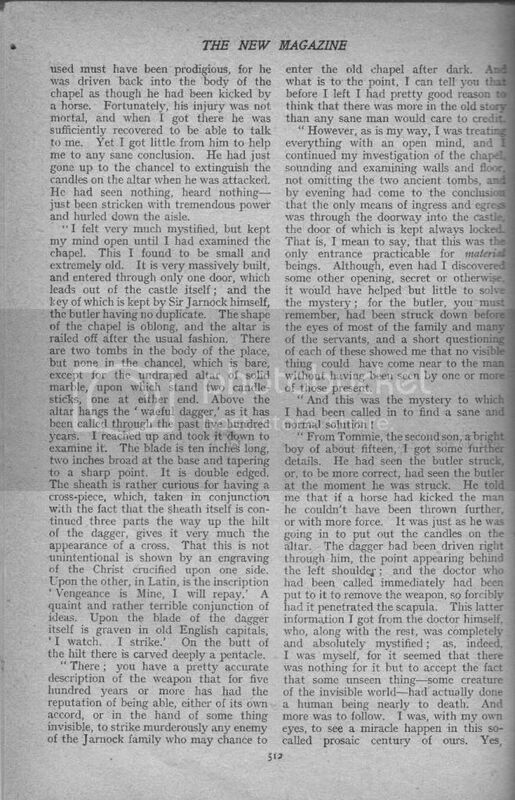 I was a little disappointed with the Carnacki stories as they'd been recommended to me as a kind of supernatural Sherlock Holmes and as such they didn't measure up to expectations. Still, some good ideas and I like the way that not all the cases have supernatural explanations in an attempt to keep the reader guessing as to the true cause of the creepy goings-on. Is this where my limited education and knowledge base begins to show because I quite like what I've read and/or remember of the Carnacki stories. Apart from his repetitive phrasing (but even that becomes endearing after a while) the flaws in some of the stories can be looked at case-by-case (so to speak). A somewhat over-the-top but otherwise conventional resolution of "The Whistling Room" and the dated pseudo science fiction at the end of "The Hog". The Occult Detective approach is a legitimate one and who is to tell an author what suits his or her stories and what doesn't? After all, if someone had have 'told' Lovecraft (in regards to other issues) before it was too late you would think that he may have had an even bigger reputation than he now has. I still think that 'Gateway to the Monster' is a masterpiece in it's own, economic, way. Rummaging about I found a copy of this Hodgson letter to John Lane, but I've never used it for anything. 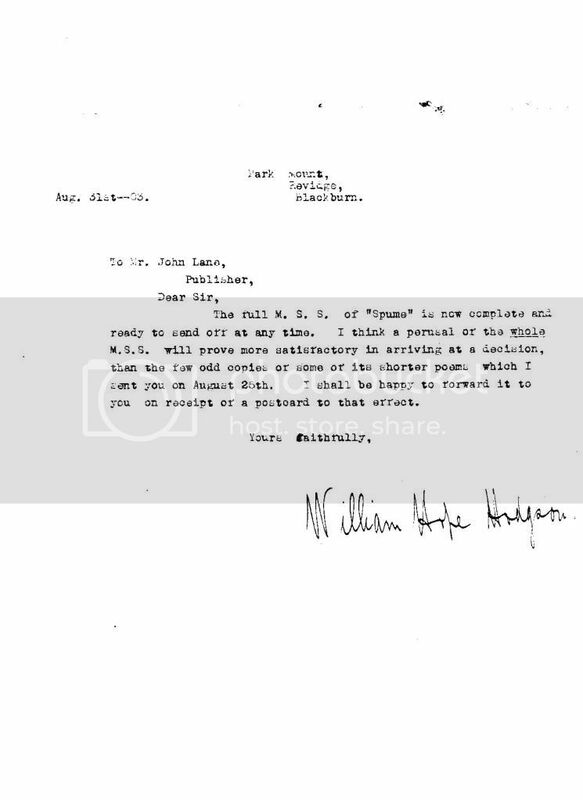 It's quite early - 1903 - and shows Hodgson trying to flog a poetry collection called Spume. I know Tartarus published a collection of his verse, but I haven't got it, but it probably collects this early stuff. thanks for posting these, james. hope you'll not mind that i shifted them from the latest finds thread to here as they'd only get lost among that 40 pages (!). Throw in The Ghost Pirates and The Island Of The Ud and Tremayne's book would compile my favourite WHH's in one volume . i'm guessing the essay is a version of, or identical to the William Hope Hodgson: His Life And Works which appeared in the Tremayne-edited BFS booklet William Hope Hodgson: A Centenary Tribute 1877–1977 (Nov. 1977) along with The Riven Night and The Phantom Ship? No worries, Dem. 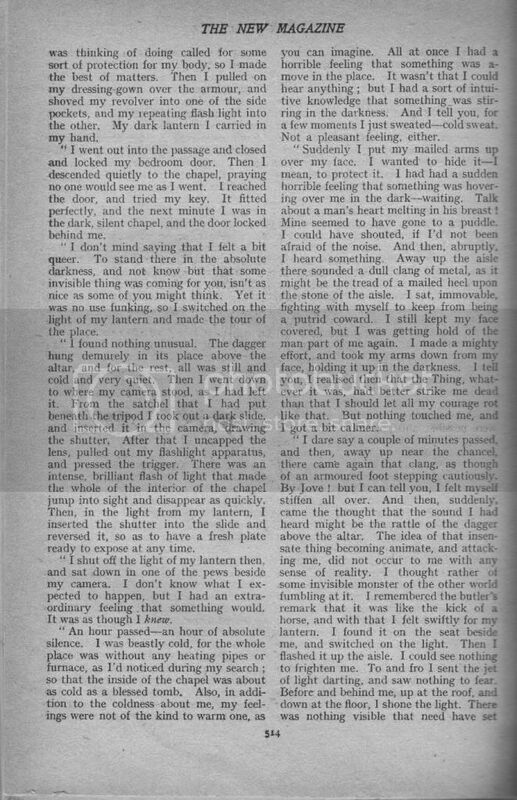 The introduction of the Masters of Terror collection has a note that it's based on an article that appeared in Lancashire Life in 1977 - maybe the chapbook is a more complete version. 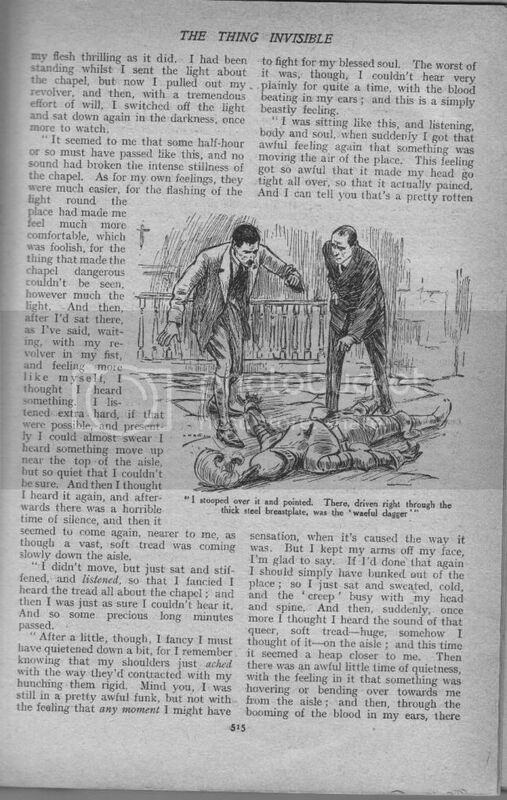 At the risk of clogging the Vault with large scans, here's "The Thing Invisible" as it appeared in the New Magazine in 1912. Very much inferior to the expanded version that appeared in the book, I reckon. i don't care if it clogs things up - it's wonderful to be able to read it without shelling out or spending ages searching on line. i kind of like it, but then i'm not quite as keen on his carnacki stories as his other work (love the idea, get frustrated by the rationalised endings) so perhaps brevity just suits my view better. thanks for posting this, james. It was my hunt for provenance, for Oakes' 80s horror covers for Sphere, Futura, et al. - that brought me to this forum. I mean, just because the original art carries a label saying Guy N Smith "Bats out of Hell", doesn't mean the image was actually used But thanks to this site, I can rest easy for many....now, in return, I figured I'd add one or two you may have missed. Like this one. How I wish I could time travel, and get Hodgson's reaction: "Good news, and bad news, Hope! People were still reading your stories in 1985! And this is how publishers got them to do it....."